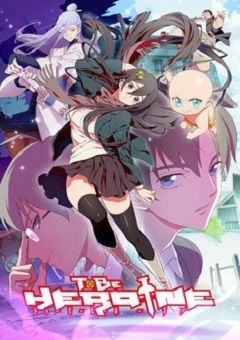 Following the first season’s gag action theme, the second season titled To Be Heroine will feature an original story and a new set of characters. You is about to leave home when she suddenly enters an incredible world. Appearing in front of her is an eight-year-old naked boy, and before she could even grasp the situation, she’s attacked by assassins from a mafia group who were chasing the young boy. What was even more unrealistic for You was that the leader of this mafia was another assassin’s attack. Who are those naked kids, why did her shoe turn into a warrior and above all, what kind of world did eight-year-old boy come from? Just like the first one, he’s also almost naked! While trying to escape from the attackers, You loses one of her shoes and by a strange kind of magic, her shoe turned into a warrior who was able to save her by blocking the You enter?